Can you advise what is error and solution for it? 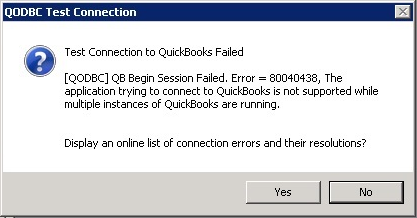 The above error says there are multiple instances of QuickBooks is running. Please close all instance of QuickBooks (Please verify no instances are running of QBW32 under task manager --processes -- view all user processes). Please run only one instance of QuickBooks as context user, log in to company file as Admin & try to connect using VB Demo.